The center was dedicated Aug. 25, 1990, and named in honor of Kansas Sen. Robert J. Dole, an advocate for people with disabilities. Kiene & Bradley Design Group designed the $12 million classroom and clinic space, which houses undergraduate and graduate departments and research and training centers, including the Department of Applied Behavioral Science, the Life Span Institute, the Edna A. Hill Child Development Center, the Sunnyside Toddler Program, and the Department of Speech-Language-Hearing: Sciences & Disorders. Also in DHDC are such Life Span affiliates as the Gerontology Center, the Merrill Advanced Studies Center, and the Research & Training Center on Independent Living. The University Daily Kansan newsroom and the radio-TV sequence of the School of Journalism & Mass Communications also have offices, classrooms, studios, and labs here; the Stan and Madeline Stauffer Multimedia Newsroom was dedicated Oct. 1, 2004. The Department of Applied Behavioral Science was formerly the Department of Human Development & Family Life; the name was changed in August 2004. 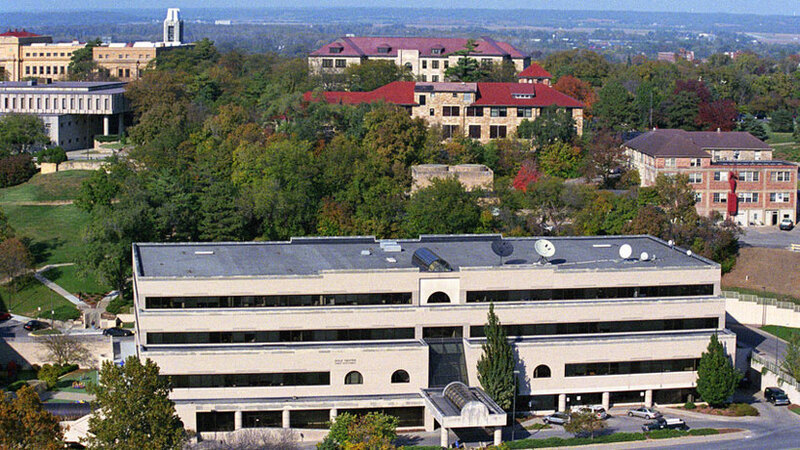 The department, established in 1964, was founded on programs affiliated with the home economics department, long chaired by Edna A. Hill, founder in 1943 of the first nursery school at KU. After her 1967 retirement, the child development center was named in her honor.